(FILE HIPPO)—Facebook has unveiled its plan for full internet access across the globe. It involves solar powered drones with a wingspan of a Boeing 767. The drones—developed by UAV maker Ascenta—will be able to stay in the air for three months. 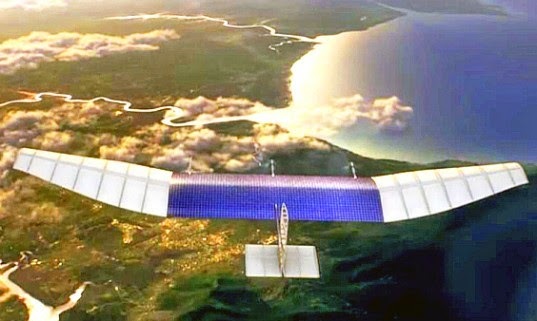 Facebook will fit low-orbit satellites capable of transmitting 3G data inside the drones. It will start providing internet to the places that need it most; Africa, South America, the Middle East, South-East Asia, Central Asia and other remote parts of the world. Facebook will use its Internet.org channel to offer free internet services to people incapable of paying for internet—working with local carriers to provide this service. The drones will fly at an altitude of 60,000 to 90,000 feet in the air, meaning they will be above normal aircraft. This should allow Facebook to deploy almost anywhere in the world, without risk of crashes.